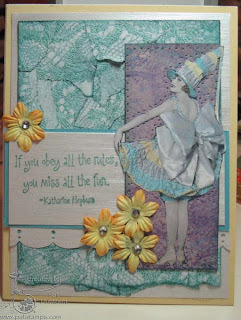 I am pleased that today's giveaway sponsor is Firecracker Designs by Pamela. Pamela has been a very-long-time supporter of the newsletter, and I am grateful to have her as a sponsor and contributor! A big "Shout-out" to you, Pamela! The card above uses a couple of the images from the Heritage Ladies stamp set that is being offered for today's giveaway. I used the Sanded Core-dinations Technique from the April 2010 issue of the Technique Junkie Newsletter for the area behind the image, and cut around the diamonds to give it some added interest. It loses something in this picture...it is much more whimsical in real life! To enter this giveaway for the stamps and the card, simply leave a message on this post and let me know which of these stamps are your favorite on the sheet. Make sure to leave me enough information so that I can contact you if your name is chosen by my random number generator on Monday, May 2nd. You may want to format it something like this: p huntoon at optonline dot net for phuntoon@optonline.net. You do NOT need to be a Technique Junkie to win this giveaway. good luck! Congratulations to Niki Winchell, the winner of this stamp set and card! This is another page in my book of me. This is the recreation center where I spent my early teen years ice skating and learning how to socialize. 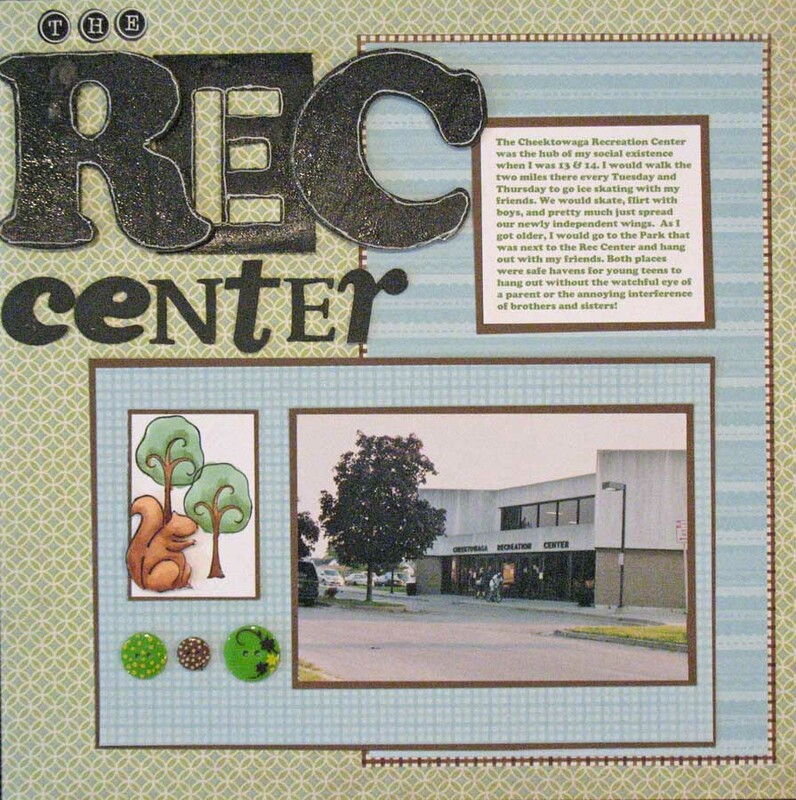 The REC Center words are painted in Espresso Adirondack Paints, and covered with Rock Candy Distress Paint. Not exactly what I thought it would turn out like, but I am happy with it none-the-less. Close To My Heart paper. Today I am at a scrapbook retreat in New Jersey -- I will have a whole new batch of pages to upload when I get home! 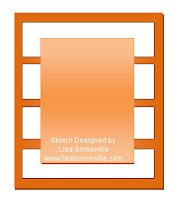 Hope your day is filled with creative endeavors! Today's Blogger's Challenge was all about COLOR. The colors we were charged with using for the challenge are blue, moss, and orange. I happen to love these colors together, so this was an exercise in pure fun for me! My card uses the Watercolor Distress Technique from the February 2007 issue of the Technique Junkie Newsletter for the background. Color can be funny sometimes -- I originally intended the Faded Denim and Orange Marmalade Distress Inks to make up my background, but when they smooshed together they came out that lovely moss color, so I ended up with all three colors on the background. What a happy accident and perfect for this technique. I collaged over the Watercolor Distress and added the other element to complete my card. All of the stamps are from Tim Holtz. I just LOVE the style of these stamps -- but doesn't everyone? Make sure to check out the other creations -- click on the Blogger's Challenge link on the sidebar of my blog to get a list of players this week. Confession time: Never in a million years did I think that I would use digital images in my stamped artwork. Never say never -- because I do now, and I AM A BELIEVER! If you have not yet tried it, you should take a step forward and try it yourself -- you will be SOLD. I am here today to enable you to give it a try! The card above uses Twisted Papers Images (our giveaway sponsor this week). I created the background using the Vintage Lace download. I printed it to full size, then used it for the Peeled Paper Technique (April 2010 issue of the Technique Junkie Newsletter). I love the way this turned out! The lady is from the Vintage French Postcard images -- again I just resized her and cut her out to layer over my Pigment Scrunch (purple) mat (from the February 2009 issue of the TJ Newsletter). 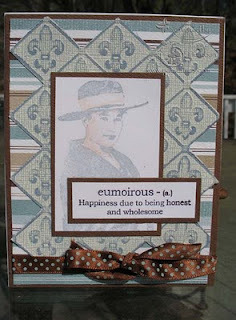 The stamped saying is from Inky Antics, and the luscious white paper is from the Paper Temptress. Today's giveaway is the Advertising and Art Design CD from Twisted Papers along with the card above for one lucky winner! This CD contains 250 full-sized images. 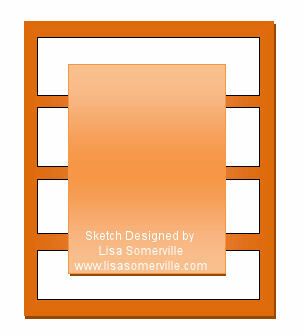 You can print this images in any size -- they are so versatile! The images on this CD are fabulous -- you will have a blast with it. To enter this giveaway, leave a comment on this post and let me know if you have ever used a digital image -- and if not, why not?! (I am giving you permission today to use them in your artwork!!) Make sure to leave me enough information so that I can contact you, something like this: p huntoon at optonline dot net for the email address phuntoon@optonline.net. (DO NOT email me your entry -- I will not count it for the giveaway). You do NOT need to be a Technique Junkie Newsletter Subscriber to win. I will use my handy random number generator to pick a winner for the CD and card on MONDAY, April 26, 2010 at 7:00 am EST. Good Luck! 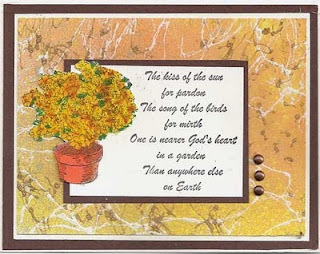 Congratulations to Tina Finnegan, the winner of this CD and Card! I love the Herringbone Technique from the December 2009 issue of the Technique Junkie Newsletter. 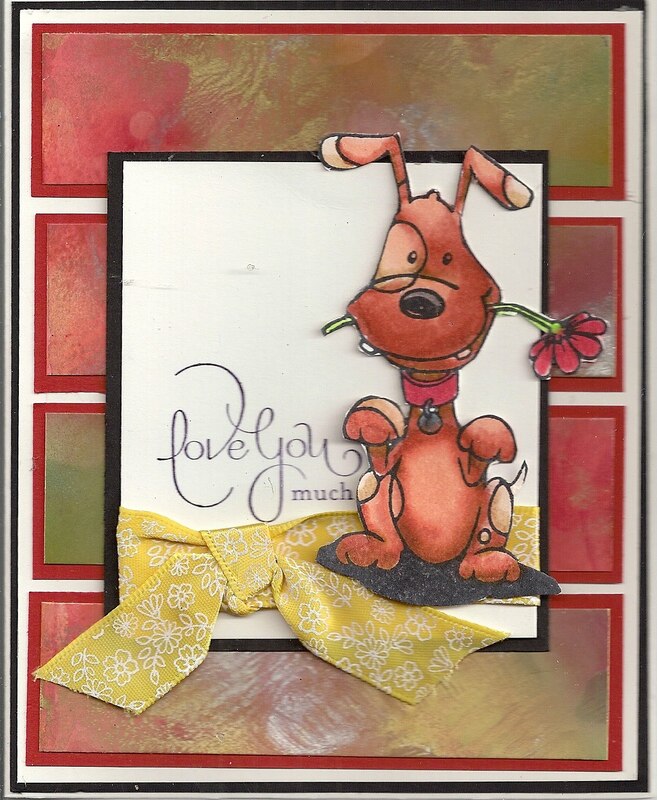 It uses up scraps, it always impresses people, and it is just plain EASY! Kudos to Club Scrap for allowing me to use their technique in the newsletter. My Herringbone piece also uses some scraps from some April 2010 technique pieces. The green strips are sparkly pieces of Glimmer Mist Watercolors, and the peachy-orange strips are pieces of leftover Washed Colors. Gotta love leftovers. 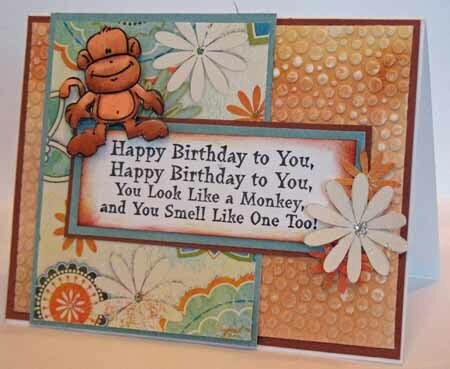 Still lovin' this funky monkey from DRS Designs, too! I know I just posted a card using this dog on Friday, but I wanted to get this one on here, too. I actually received a handful of these images in an mystery image swap that I was in, and I loved it so much that I used them all up! This dog is set on a Mono Dies background from the February 2010 issue of the Technique Junkie Newsletter. The dog was colored with Pastel Pencils. I think this is cuter is person than online -- the flowers in the background are really cute. I started this feature on my blog -- Scrappin' Saturday -- where I would post a stamped scrapbook page once per week...and it lasted one whole week! Seriously, I could show you a billion pages..but for some reason, taking a good picture of them is beyond me. Bad pictures be damned, I will try to post more! In any case, a few years ago one of my sisters drove around our childhood town of Cheektowaga NY and took pictures of some of our "landmarks." 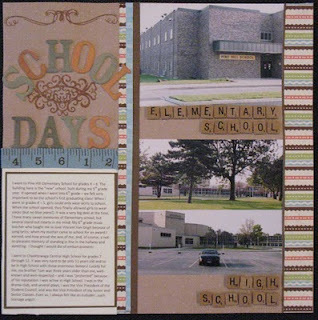 Since NONE of my 5 brothers or sisters still live in or anywhere near Buffalo, I decided to create my own little book about my childhood home, places I visited, memories of my family, etc. I haven't even told my family about this -- I am certain that my DH, my sons, and even some of my siblings would all think it was lame. I don't care! Some day I will have grandchildren who will be interested, LOL. 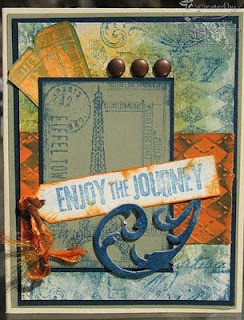 The stamps and paper used on this layout are from Close To My Heart. Thanks for stopping by today! Today's Blogger's Challenge was to use the sketch on the right as inspiration for our creations. I love this sketch - so easy -- and as soon as I saw it, I knew I had to use this piece of Silken Mist (from the October 2006 issue of the Technique Junkie Newsletter) for my rectangles. 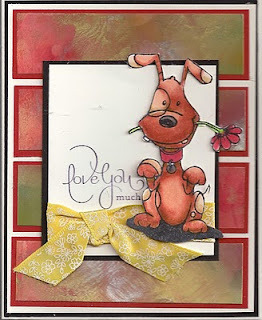 The dog was colored with Copic Markers, cut out, and layered over my Stampin' Up! verse. 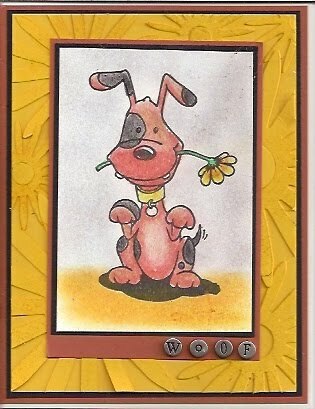 This card is for my niece, who just got a new puppy this week. Every time I create or do a technique I create extra sheets of it. If I don't use them right away, I pop them into a drawer that I have set aside for them. Then when I have a challenge like this, I go "shopping" in my drawer! I knew as soon as I saw this piece that it would be perfect here. Hope you like it! Make sure to visit the other Bloggers Challenge players this week. The link to their blogs is in my sidebar. thanks for stopping by today! PS: Don't forget that the 2007 issues are on sale for 1/2 price ($9.00 plus postage) through April 19th -- and you do NOT need to be a subscriber to order them! Spring has sprung, as they say, so it is fitting that today's giveaway reflect Spring's beauty. The beautiful garden-themed stamps for today's giveaway are from Rare Image Rubber Stamps, presented by I Brake for Stamps. Nancy Judd, former Technique Junkie Designer, designed these stamps, and now they are being offered by I Brake for Stamps! There are a whopping 25 images on this sheet of rubber. This sheet is a gardener's dream. 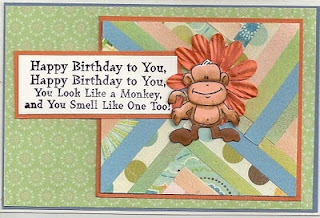 The card I made today to represent the stamps uses a Veined Marble Background from the August 2007 issue of the Technique Junkie Newsletter (hmmm, the 2007 issues wouldn't be going on sale for 1/2 price tomorrow on the Design Team Blog for the Try That Technique Challenge, would it? Hmmm...). In addition to coloring the image with Markers, I used Flower Soft to add dimension to my blooms. It is a simple card, I know, but sometimes adding just one more thing is just, well, too much! Simple it is. In addition to the Rare Image Rubber Stamps line, I Brake for Stamps also has plenty of other brand new images on the website. There are Spring Flowers and Collage images, too. You can see all of the new releases here: http://tinyurl.com/54p8s8 Shipping is a flat fee of $4.85 for all purchases for U.S. residents. To win this stamp set and the card, simply leave a comment on this post and I will use my random number generator to select a winner. Make sure to leave enough information so that I can contact you -- Blogger does not send me your name, nor does it make it easy for me to find you! Try leaving your email address in this format: p huntoon @ optonline dot com. I will be picking a winner on Monday, April 19th, so be sure to get your comment in before then. Good luck! Congrats to Marva Plummer-Bruno, the winner of this giveaway! 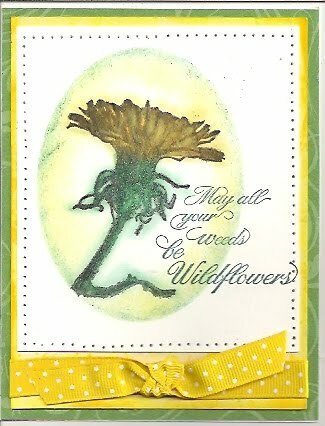 Isn't there something beautiful about a stamp that says "May all your weeds be wildflowers"? I think there is. I think it is a great wish to bestow on someone -- the ability to see beauty in life around us. 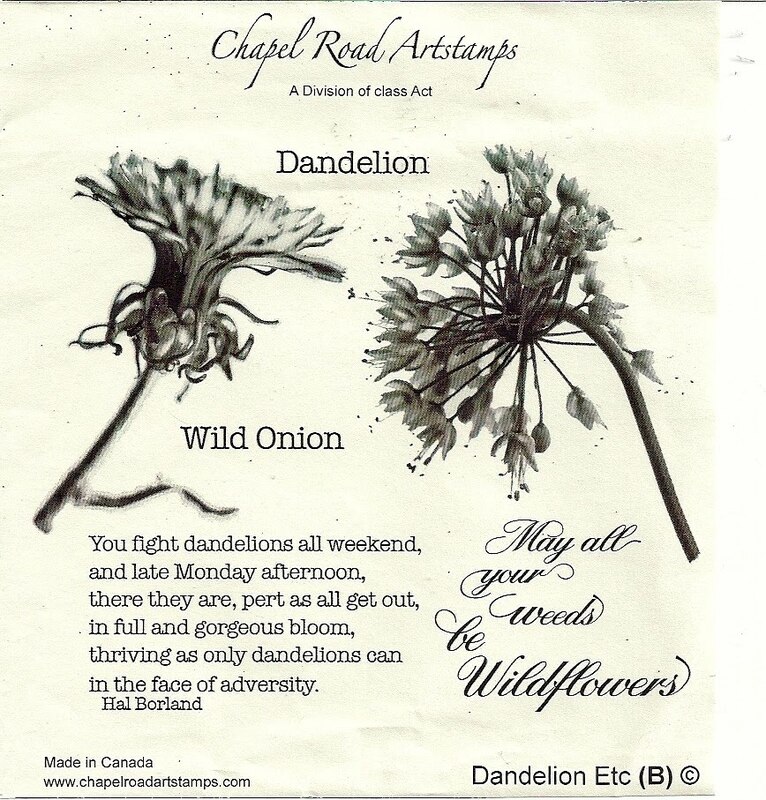 The card above uses the some of the Chapel Road Artstamps that are being offered for today's giveaway. I used the Masked Spellbinders Technique (from the April 2010 issue of the Technique Junkie Newsletter) to highlight the dandelion stamp. The stamp itself was colored with pastel pencils -- and I smeared them a bit for effect before sealing them. I think my scanner might be going though -- this is not as pretty in the scan as it is in real life! To enter this giveaway, simply leave a comment on my blog with your name and email address. My random number generator will select a winner on Monday, April 12th. Good luck! You do NOT need to be a Technique Junkie Subscriber to enter this giveaway. Congrats to Shauna Brom, the winner of this giveaway! You are probably thinking to yourself: "Why would anyone ever buy those stamps?" Well, let me tell you -- I would. I did. After all, I came from a house with 6 kids. Do you think we EVER sang a normal happy birthday song? NO WAY. We would ONLY sing it the "monkey" way. That is why I bought this stamp at a stamp show from DRS Designs. How could I resist? 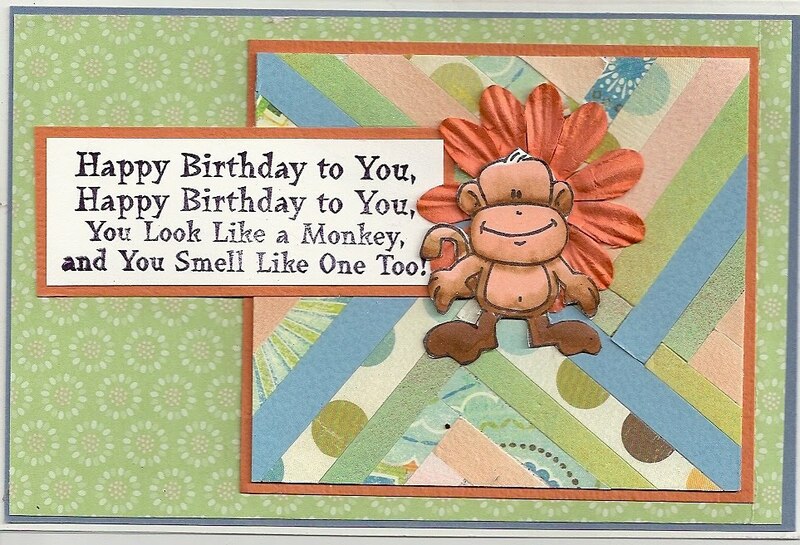 I swore a long time ago that my brother, who is 3 years older than me, would never get a "normal" birthday card again.This is for one of my nieces, though -- she will get a kick out of if, I think! I love making Easter cards. Well, honestly, I love making spring cards of any type! Just the happiness of them...well, makes me happy. 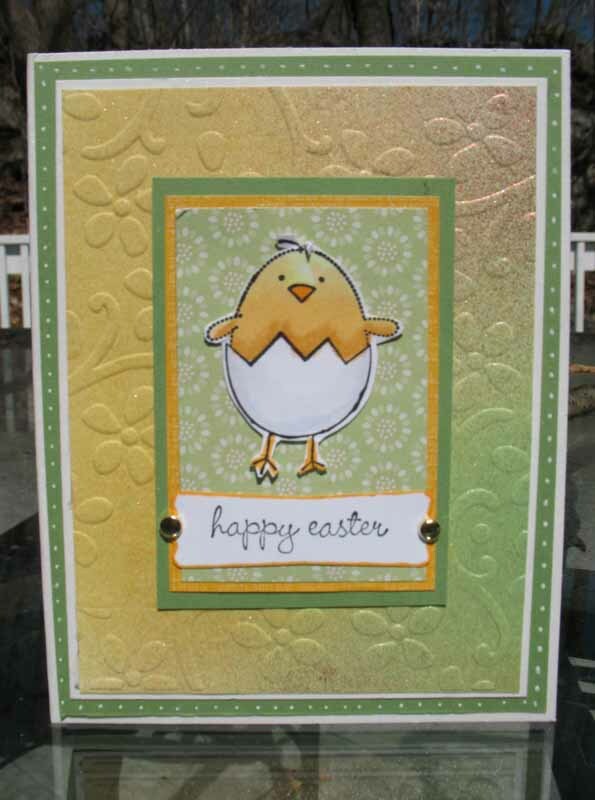 The challenge for Blogger's Challenge this week was to make Easter cards. 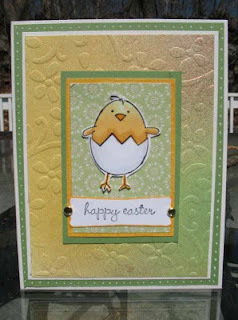 My Easter chick uses a Glimmer Mist Watercolors Background (from the April 2010 issue of the Technique Junkie Newsletter) that was Cuttlebugged, with a layered, Copic-Markered chick. 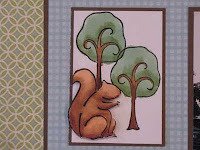 All Stamps from Stampin' Up!.